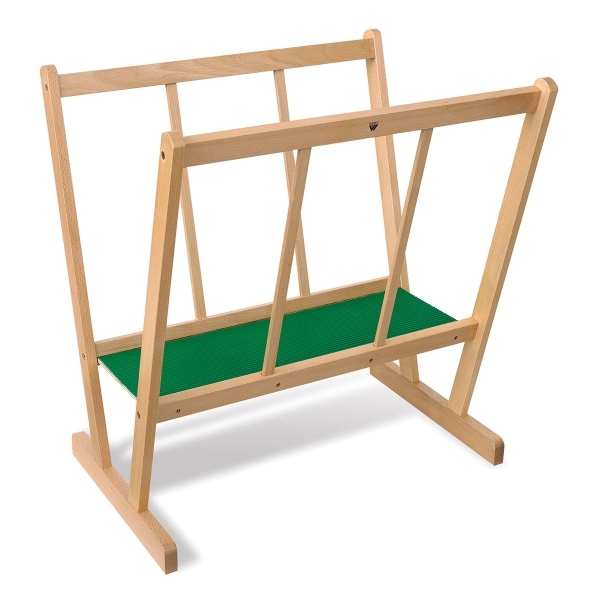 The Martin Universal Design Avanti Wooden Print Rack is a sturdily built, solid elm fixture that's handsome enough for art fairs and retail environments as well as the home and studio. Made to store and display prints, posters, paintings, and other flat media, it features a padded, rubber-lined bed with ridges that prevent artwork from shifting. The wood has a rich, hand-rubbed oil finish. The rack measures 29½"H × 27"W × 21½"D. The bed measures 25"W × 8½"D. Once assembled, the item is not foldable/collapsible. To view a PDF of the Assembly Instructions for the Avanti Print Rack, please click here. ™ Martin is a trademark.™ Avanti is a trademark.